you for your continued trust. The Buzz 5x Extra Strength is the strongest personal cleanser available. It has the same ingredients as our regular Total Detox products, but the concentrated formula is FIVE TIMES stronger for the deepest system cleanse. 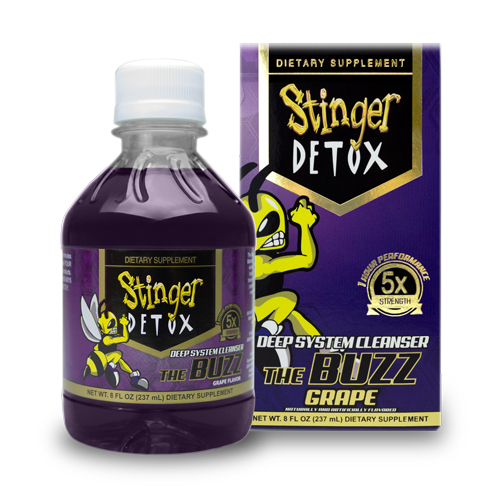 The Buzz works best for heavy exposure and requires you to be at least 48 hours toxin-free prior. Directions For Use: Avoid all toxins 48 hours prior to using this product. Drink the entire bottle 60 to 90 minutes before your desired time. Refill with water and repeat four times. Urinate frequently. Avoid milk and other dairy products. To be used as a dietary supplement only.